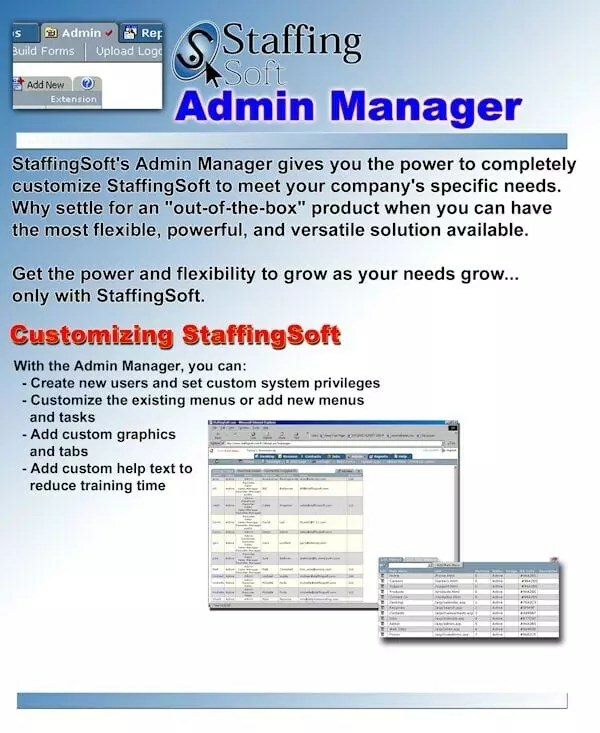 Admin Manager gives you the power to completely customize StaffingSoft to meet your company’s specific needs. Why setttle for an “out-of-the-box” product when you can have the most flexible, powerful, and versatile solution available. Create new users and set custom system/user privileges. Customeize the existing interface look and feel by changing the existing menus or add new menus. Add custom graphics and tabs. Add custom help text to reduce training time. Import Candidates, Clients contact infotrmation and job descriptions from CSV files.